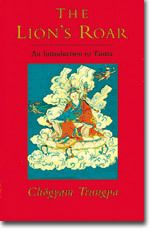 This book is based on two historic seminars of the 1970s, in which Chögyam Trungpa introduced the tantric teachings of Tibetan Buddhism to his Western students for the first time. Each seminar bore the title "The Nine Yanas." Yana, a Sanskrit word meaning "vehicle," refers to a body of doctrine and practical instruction that enables students to advance spiritually on the path of Buddha-dharma. Nine vehicles, arranged in successive levels, make up the whole path of Buddhist practice. Teaching all nine means giving a total picture of the spiritual journey. The author's nontheoretical, experiential approach opens up a world of fundamental psychological insights and subtleties. He speaks directly to a contemporary Western audience, using earthly analogies that place the ancient teachings in the midst of ordinary life.